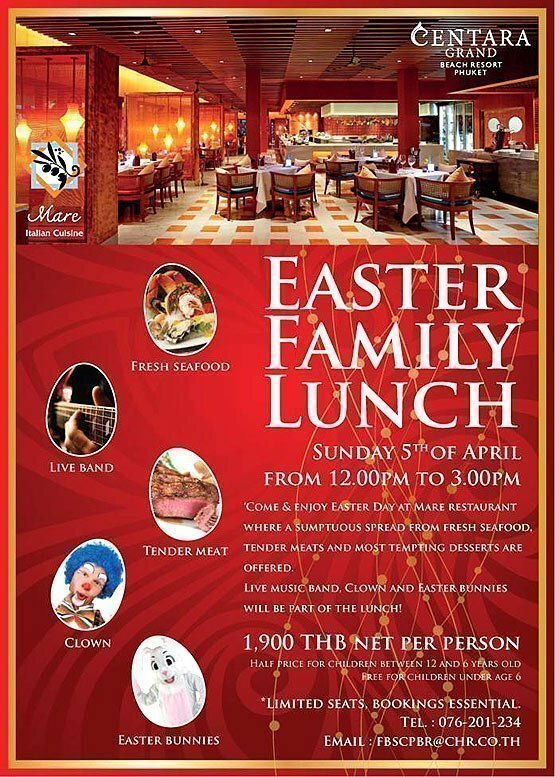 Easter Family Lunch : Sunday 5th of April from 12.00pm. to 3.00pm. It’s only a few days away for the Easter! Come and enjoy Easter Day on Sunday 5th April from 12.00pm. to 3.00pm. at Mare Restaurant where a sumptuous spread space from fresh seafood, tender meats and most tempting desserts are offered. Live music band, clown and Easter bunnies will be part of the lunch!